The Philadelphia Eagles Show Solidarity For Meek Mill The Eagles are choosing a popular track by the incarcerated rapper as their entrance music for the 2018 Super Bowl. Meek Mill in July 2017. The Philadelphia Eagles are playing in the Super Bowl for the first time in 13 years this weekend. Though the team has made two appearances at the big game in the past, the Eagles have never won a Super Bowl, making them the underdogs heading into Sunday's match-up against the five-time championed New England Patriots. So for their introduction music into the U.S. Bank Stadium in Minneapolis, the Eagles have chosen to play a hip-hop underdog's anthem, "Dreams and Nightmares (Intro)" by Philly rapper Meek Mill. The weight of this song selection is not lost on rap fans. 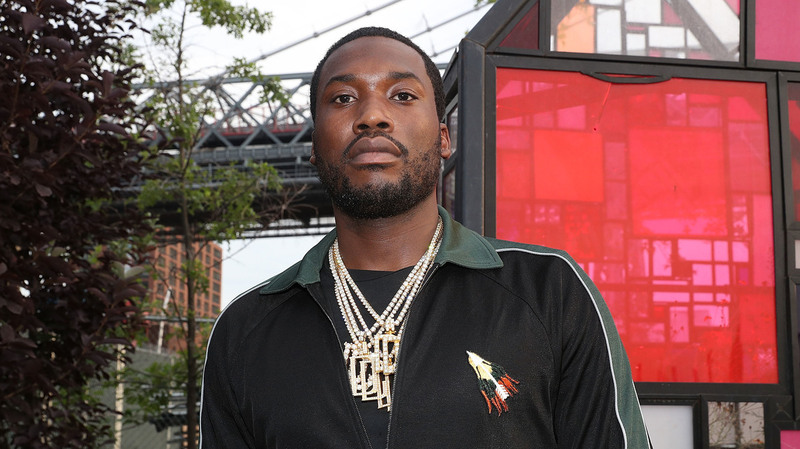 Meek Mill, a high profile, platinum-selling rapper, has been in prison for the last three months for violating parole connected with a crime he committed over a decade ago. In the time he's been behind bars, Meek's case has garnered plenty of media attention. The artist's support system of music industry names and Philadelphia figureheads are vocal and steadfast in the belief that Meek should not remain in jail over and the city of Philadelphia has rallied behind the 30-year-old rapper --- literally. Michel Martin speaks with NPR Music's Rodney Carmichael about the significance on the Eagle's song choice and how Meek's ongoing case has become a flash point in the debate around criminal justice reform. Web editor Sidney Madden contributed to this story. Listen to the entire interview at the audio link.